Montréal holds a very special place in my heart. 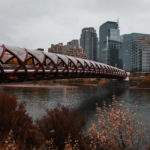 During my years in university, I made frequent trips into the city with friends and family – each trip etching memories of their own in every fibre of my being. 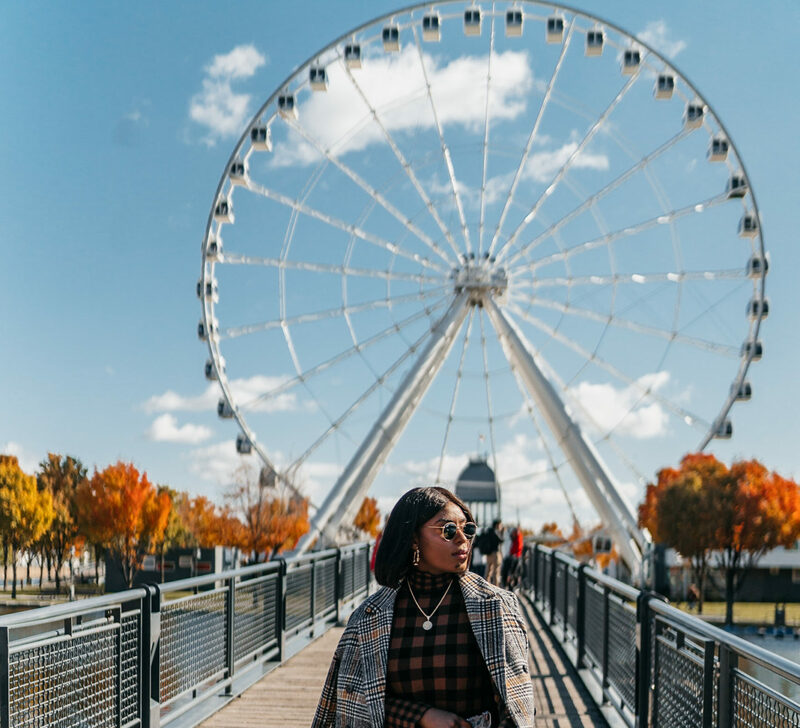 Now that I am older and much wiser (not that I did anything THAT stupid … with the exception of jumping off of the second floor of a 2-story loft onto a bed and re-rupturing my already torn ACL), my appreciation for the city’s merits increased tremendously this time around – especially Old Montréal. 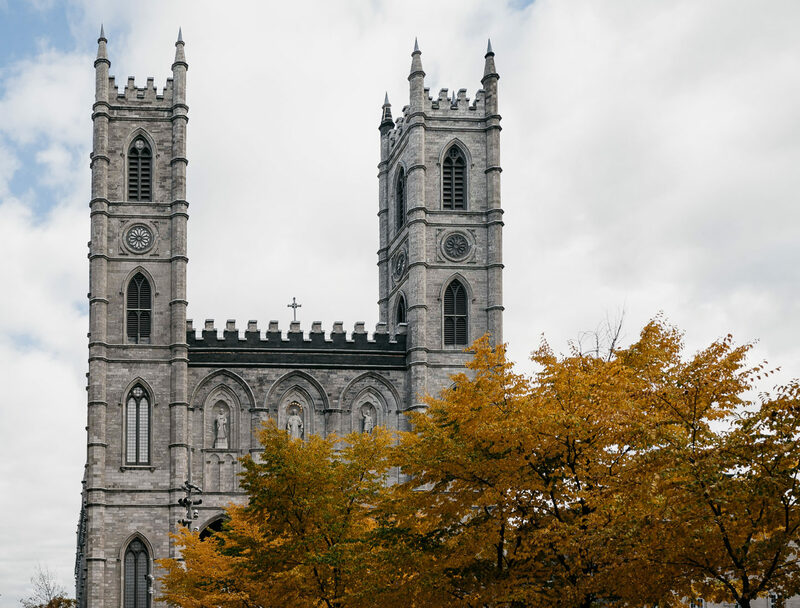 From the cobblestone streets to the century old buildings with cutting edge architecture, to the globally inspired cuisines and restaurants – Old Montréal oozes of old European charm and history. By now, I’m sure you’ve caught on to my preference for staying in boutique hotels. Unfortunately, with my last-minute arrival in the city, hotels in the Old Montréal area were quite pricey. I would definitely recommend booking your stay in advance to secure more affordable prices. 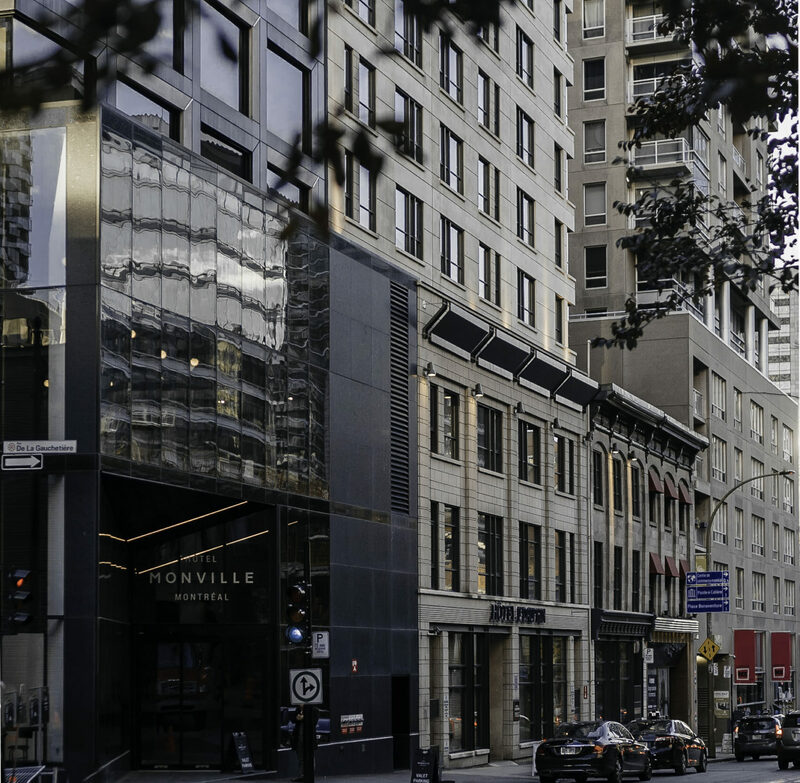 I opted to stay in Hotel Mônville which was a simple 2-minute drive or a 4-minute walk away from Old Montréal. 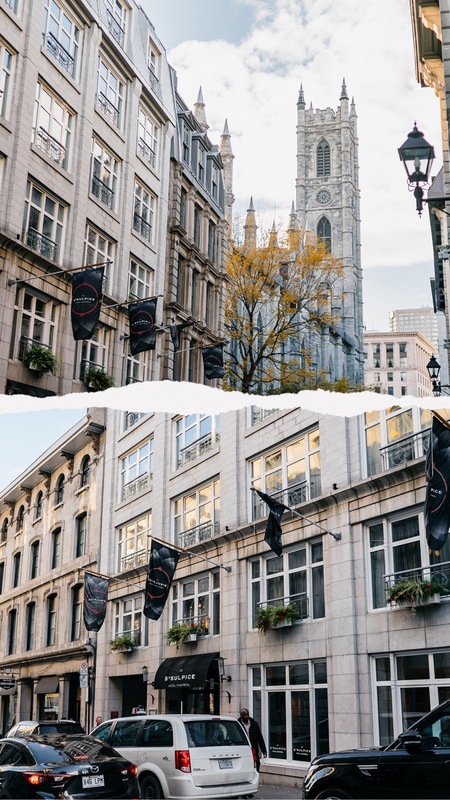 Located in Ville-Marie, Hotel Mônville is steps away from Notre Dame Basilica, Place D’Armes, Notre Dame Basilica, Place Des Arts, Square Victoria, The Underground City, Rue St. Catherine and many more. I’ve shared the experience of my stay at Hotel Mônville in this blog post. 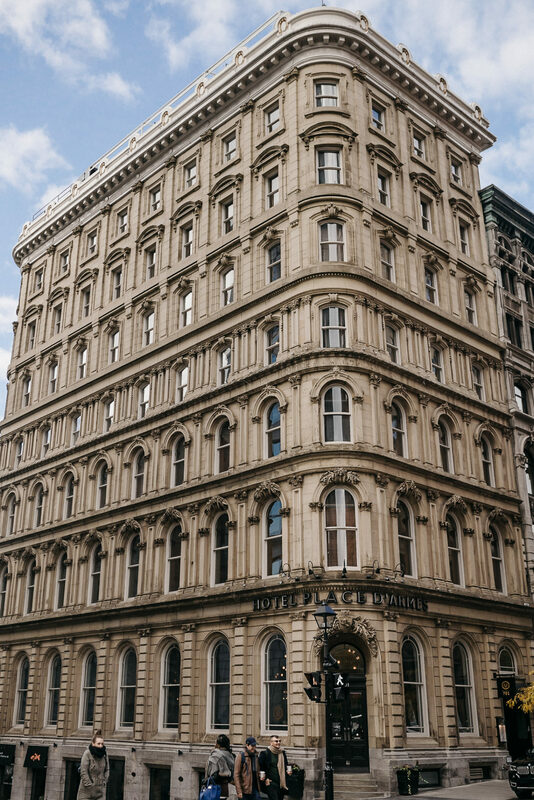 If you’re looking for an all in one, Hotel Place D’Armes is certainly the place to stay. I stayed in a 2-floor loft suite at Hotel Place D’Armes when I visited Montreal for my birthday in 2013 – remember that jump off of a 2nd-floor loft? Fun times. 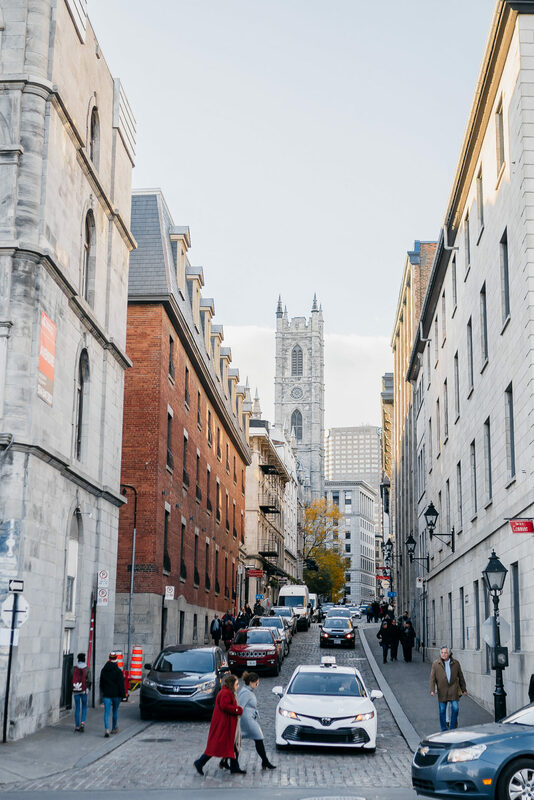 Located right in the centre of Old Montreal, the hotel is housed in a 19th-century neoclassical building right across the breathtaking Notre-Dame Basilica. The rooms are lavish and complimented with century old brick walls. 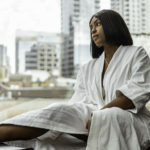 There is a full-service spa, 2 in-house restaurants, along with a rooftop terrace perfect for views of Place D’Armes Square, Old Montréal and Downtown Montréal on a beautiful summers day. 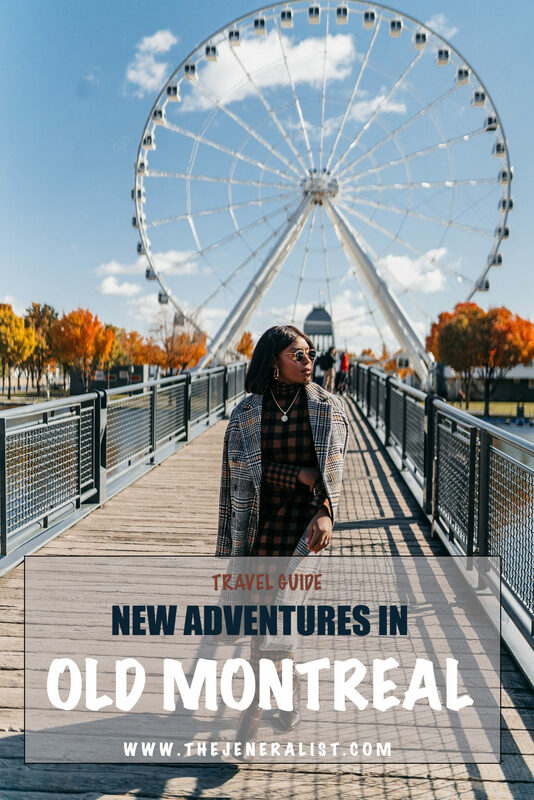 Of course my first suggestion to anyone visiting Montreal would be to explore Old Montréal on foot. 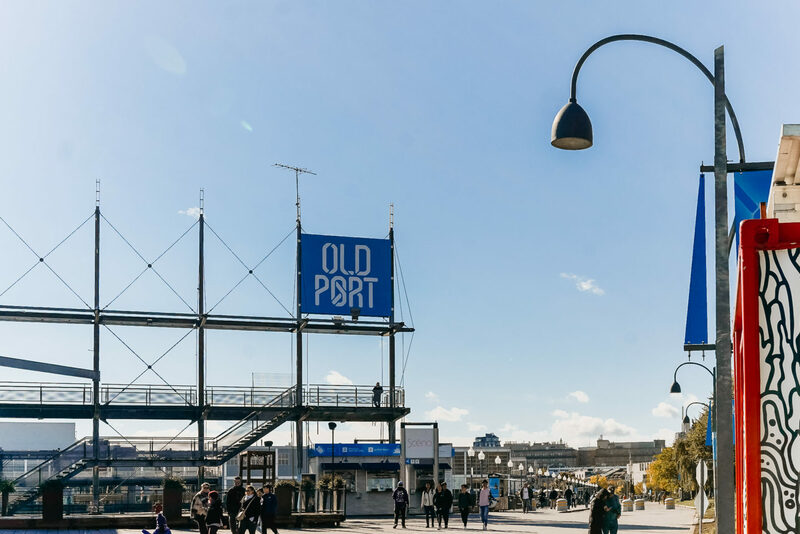 The atmosphere is reminiscent of a small French city occupied with romantic restaurants, boutique hotels and the friendliest people at every turn. 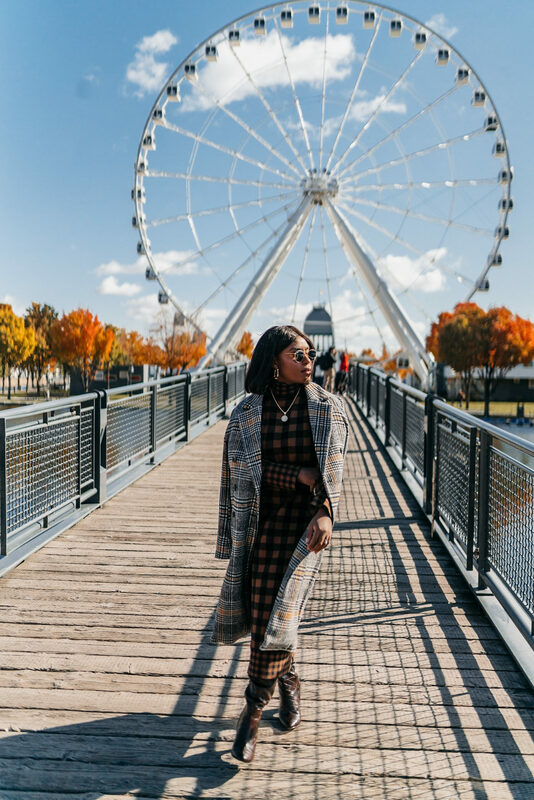 Take a stroll to the Old Port of Montreal and have an adventure fun filled day with lots of activities while enjoying the scenic views of the St. Lawrence river. 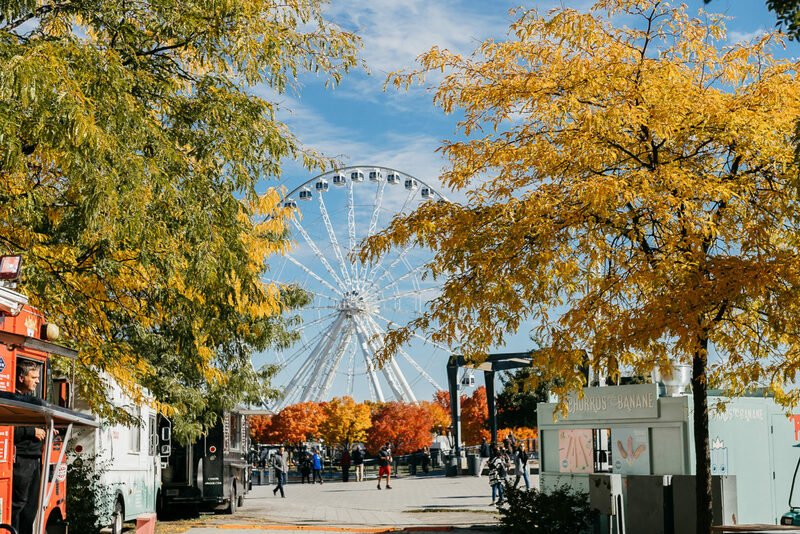 Visit the Science centre, go zip-lining, take a ride on La Grande Roue, the Observation Ferris wheel or slow things down by finding relaxation at Bota Bota, a floating Spa housed inside an old anchored ferry. When you take a trip to Paris, visiting the historic cathedrals and basilicas like the Notre Dame cathedral and Basilica Sacré-Cœur are no-brainers. The same absolutely applies when you pay a visit to Montréal. 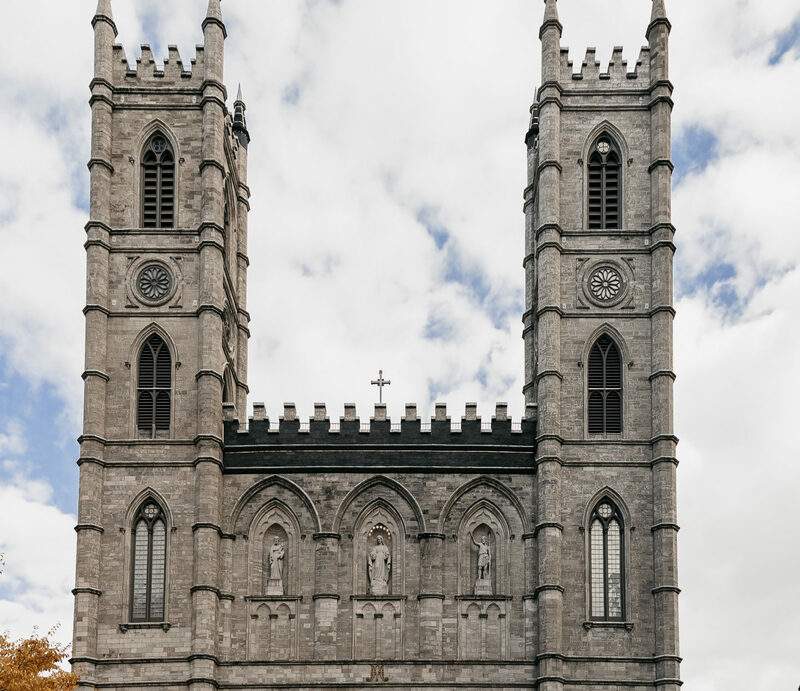 Notre-Dame Basilica is the crown jewel of Old Montréal and is also a National Historic Site of Canada. The Basilica is open to the public and available for tours year round. 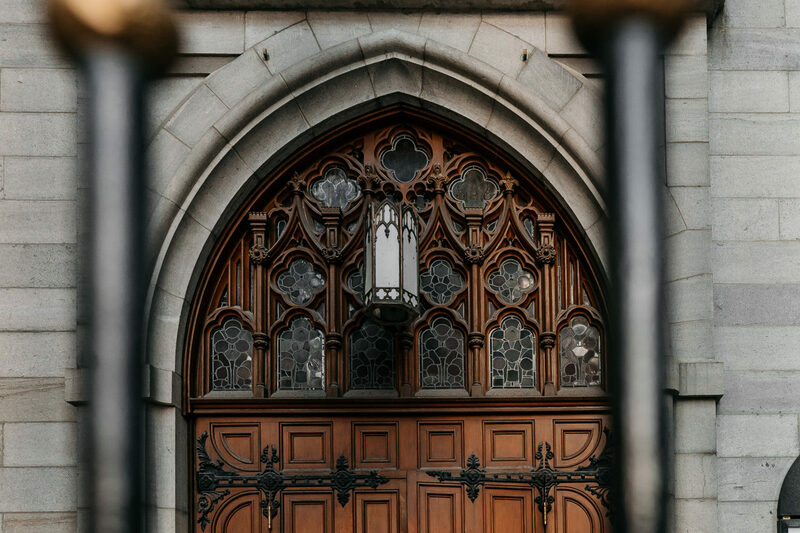 Be sure to check the mass times before you visit – guests are welcome to attend the mass services but tours are not permitted during service. Notre-Dame is open from 8am-4:30pm on Monday to Friday, from 4pm on Saturday and from 12:30pm-4pm on Sunday. 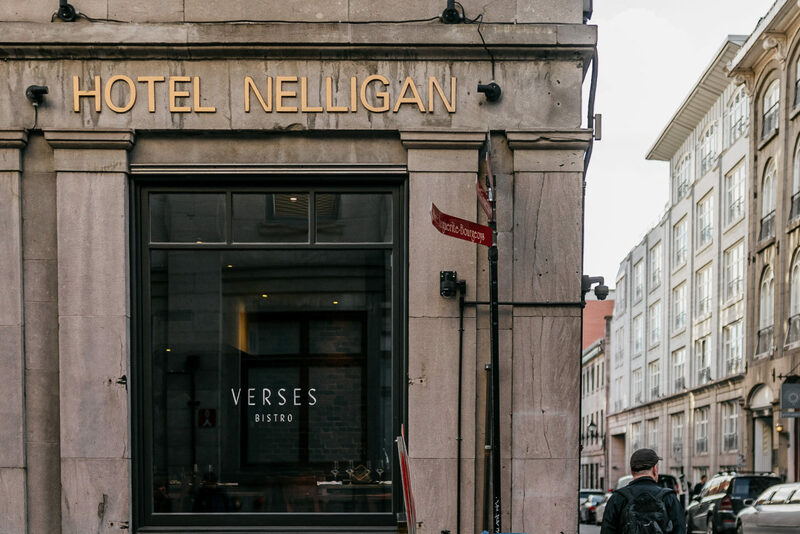 A visit to Old Montréal is incomplete without checking out some of its best boutiques. Whether you’re into fashion, home décor or gourmet treats, you will be sure to find a store for you. 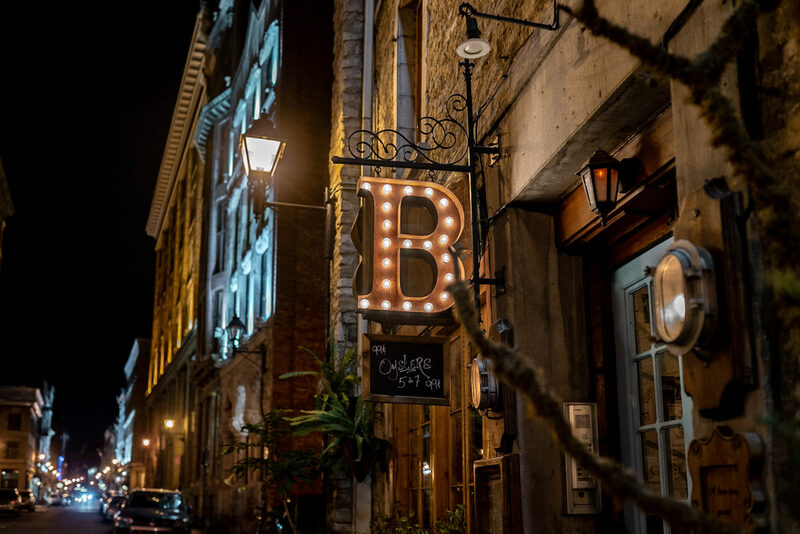 For a comprehensive list ofboutiques in Old Montréal, click here. 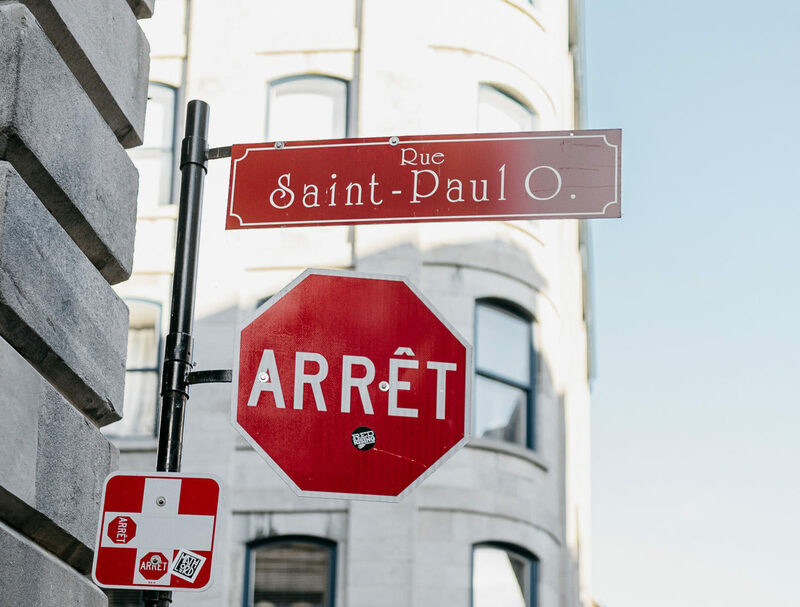 If you’re in search of more mainstream/modern finds, visit Rue Sainte–Catherine, the city’s primary shopping corridor. 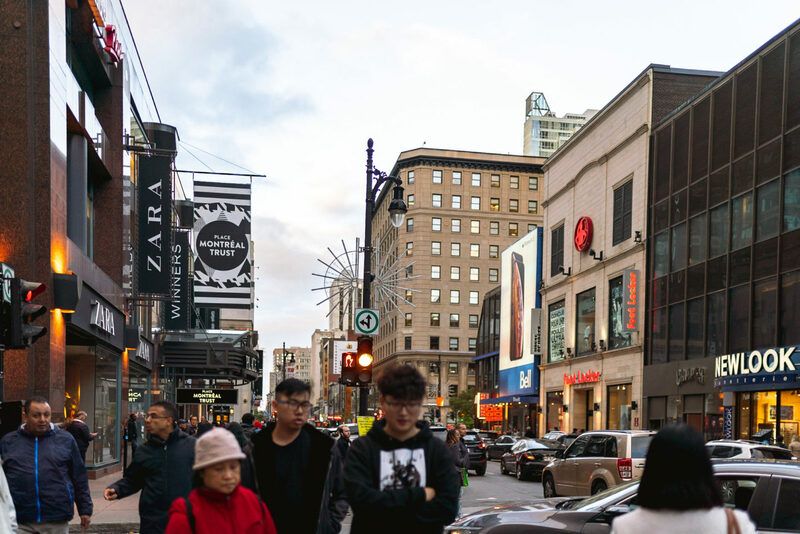 Rue Sainte-Catherine is only a few minutes drive away from Old Montréal and is home to some of the city’s best boutiques and prominent department stores like La Baie (The Bay), Simons, Birks and Ogilvy. 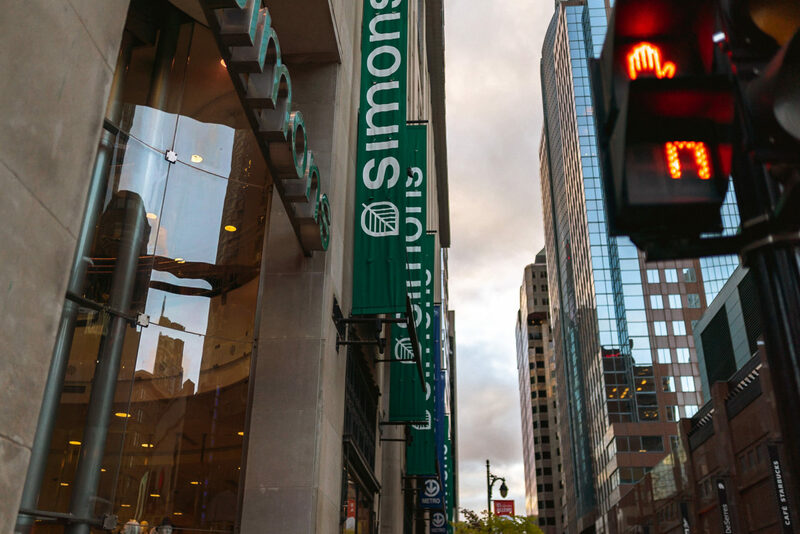 Do some shopping in downtown Montréal’s Underground City and access major malls like Le Centre Eaton de Montréal (Eaton Centre), Place Ville-Marie, Complexe Desjardins and the Promenades Cathédrale. It’s hard to believe that I opted to talk about food last but you know the old saying, “save the yummiest for last”? Yeah, me neither. My favourite posh French Brassarie in the heart of Old Montréal. 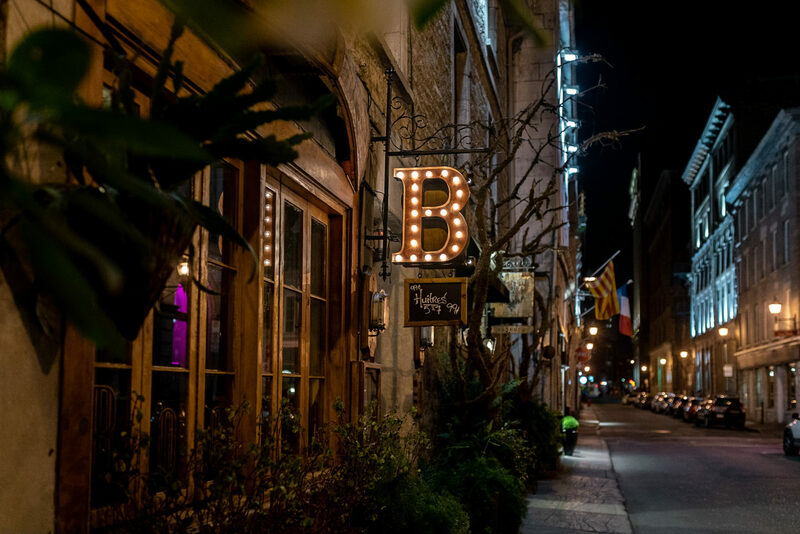 Brassarie 701 is one of Hotel Place D’Armes in-house restaurants with chic-decor and a lively ambience. 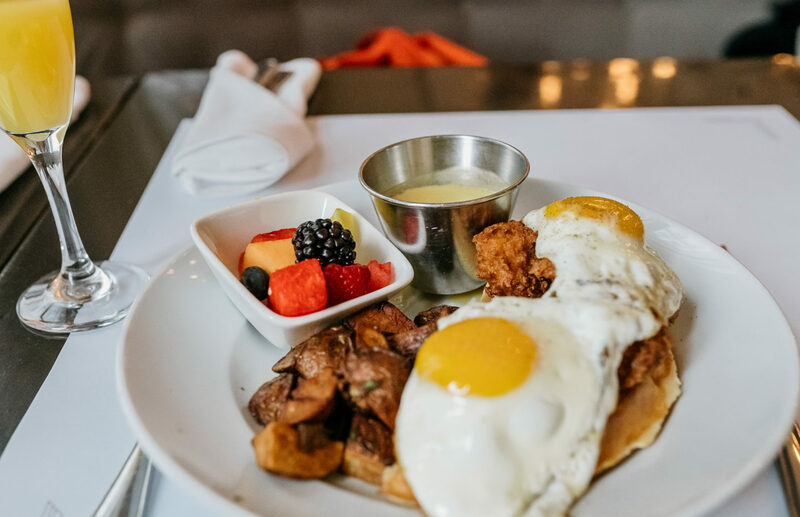 Relax with a few mimosas in hand and be sure to try the Chicken and Waffles Benedict. 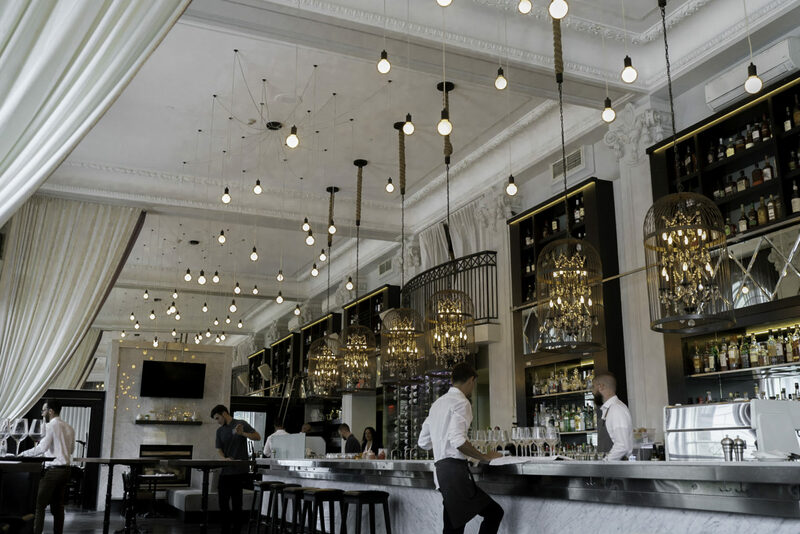 The contemporary in-house restaurant of Hotel Neville, inspired by Montréal’s gastronomic scene. 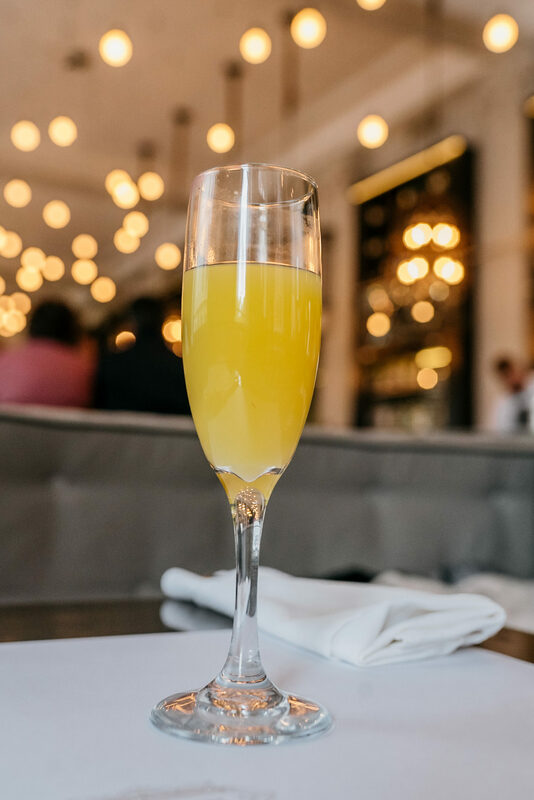 Stop in for their express lunch and be sure to try the Suprême de pintade. Historic, rustic and chic. This cozy bistro specializes in elevated seafood, steak & pasta dishes. 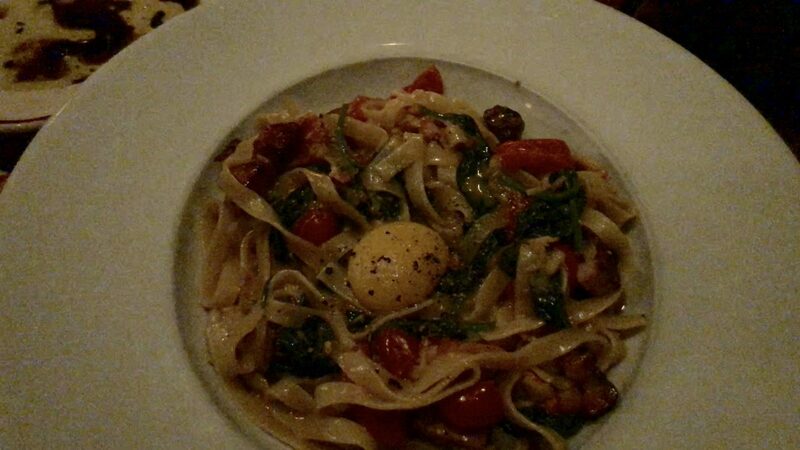 Be sure to try the Lobster Carbonara Tagliatelle. 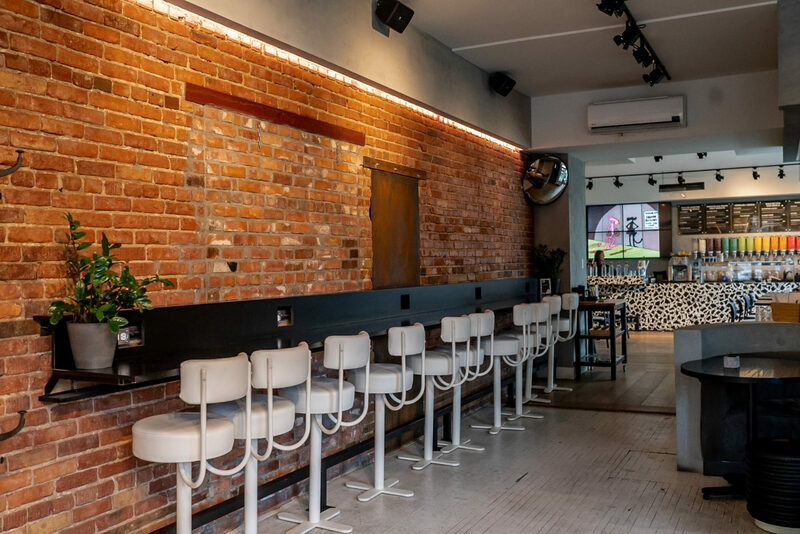 Of course, there are a plethora of restaurants and bars to explore outside of the Old Montréal neighbourhood. 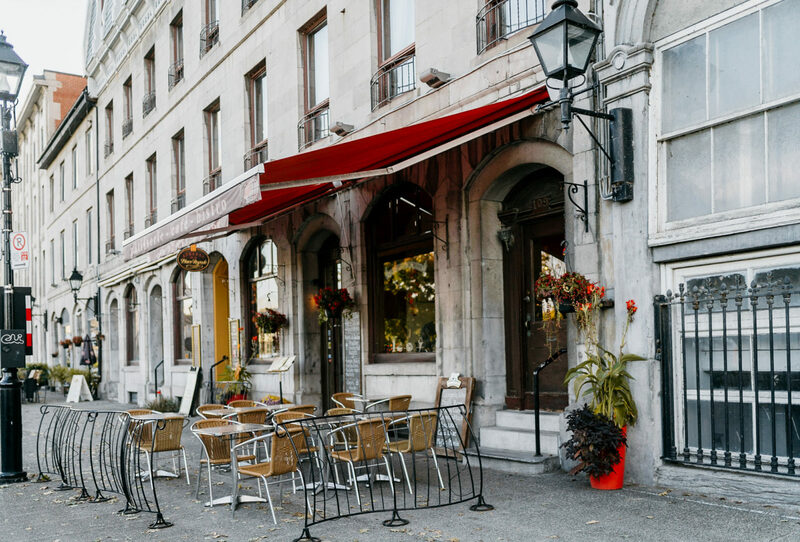 For a more authentic and local taste/experience of Montréal’s gastronomic scene, check out some of the restaurants and bars on streets like Rue Crescent, Rue Saint-Denis and Boulevard Saint-Laurent. Barley is neither in the Old Montréal or Downtown Montréal neighbourhoods but when has distance ever stopped me from satisfying my cravings? The cafe is located in Notre-Dame Ouest, about a 10-15 minute drive away from Downtown Montreal. 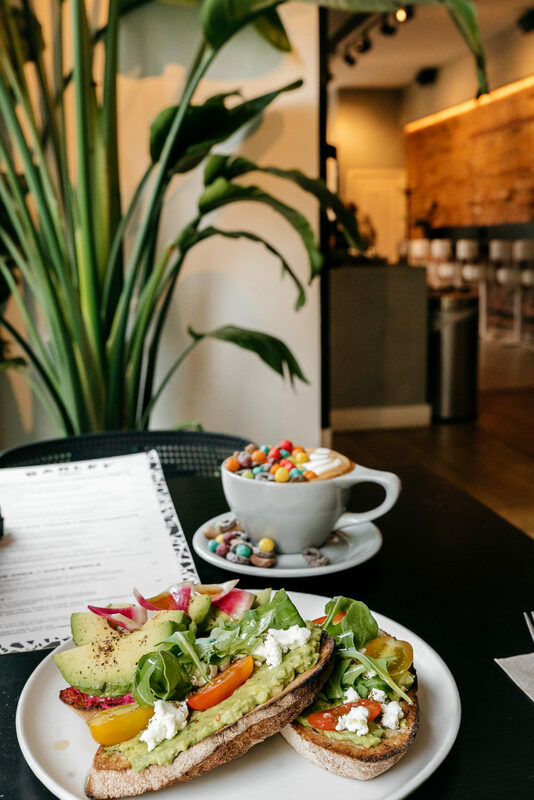 I had seen photos of scrumptious avo-toasts and cereal lattes floating around Instagram for a few months, so when I found the name and location of this cereal bar, I immediately placed it at the top of my list for Saturday Brunch. 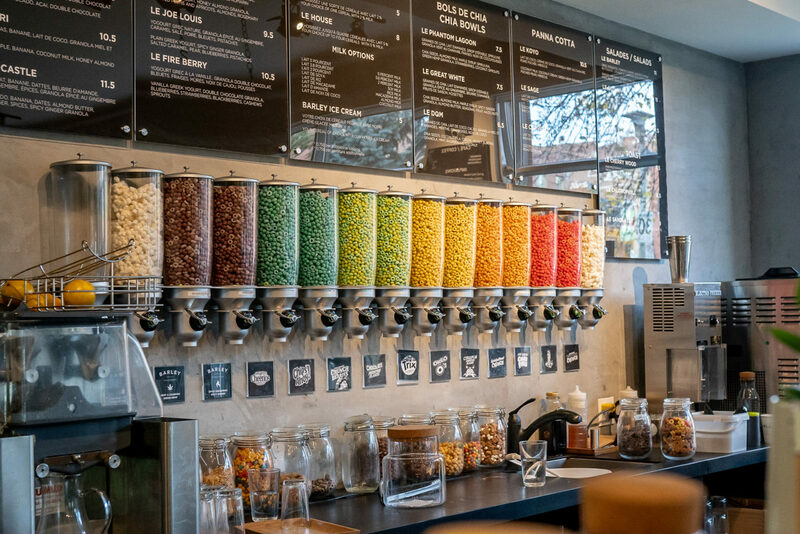 This is not just any old cereal bar, it’s also a coffee shop, a restaurant and a workspace for meetings and private events. Did I mention how Instagrammable the food is? Best decision ever! 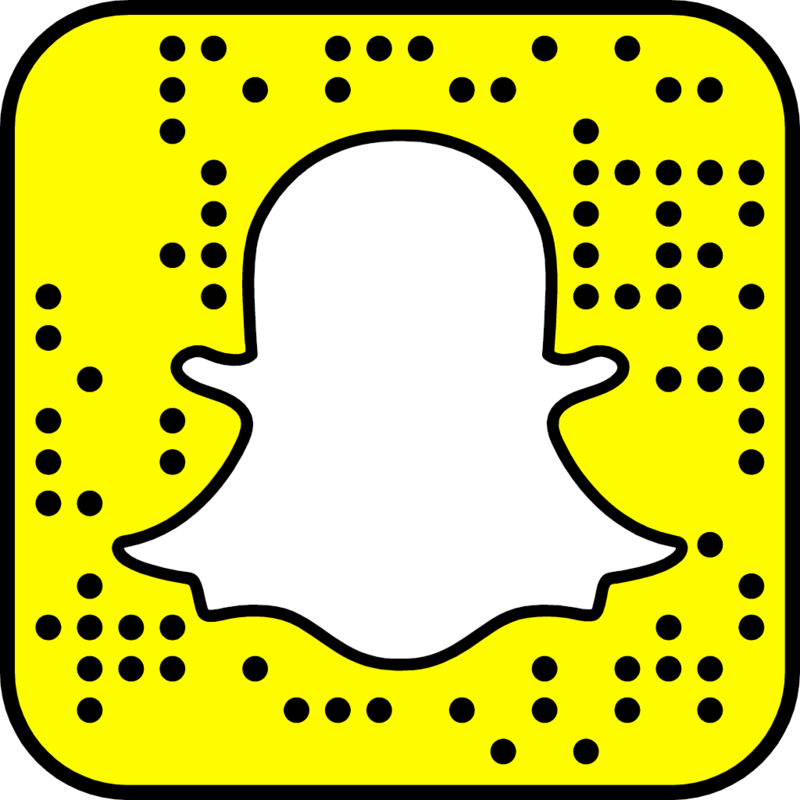 Don’t be shy to drop a comment, or two, in the comment section below. I’ve never been to montreal. 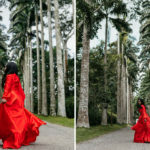 These pics are so gorgeous. I’m going to try a weekend getaway this year on one my Monday day off.